Bucharest restaurant guide by In Your Pocket. 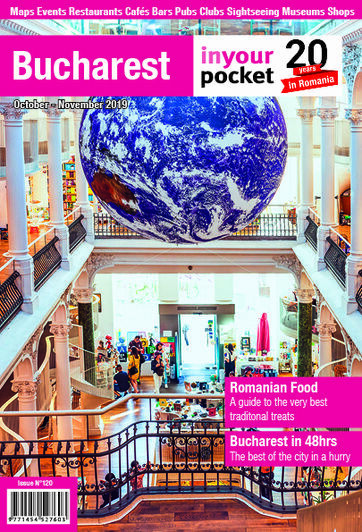 A guide to restaurants and eating out in Bucharest. Finding a good Bucharest restaurant is not a problem. The city is packed with some cracking restaurants, trendy little cafes, bonny bistros and good sandwich and lunchtime spots. Indeed, over the past few years the Romanian capital has become one of the best places to eat in all of central and eastern Europe, and the number of outstanding restaurants serving both contemporary and traditional food continues to grow. There is much crap, however, and to weed the good from the bad you need the best and most comprehensive guide to Bucharest's restaurants ever produced. Which is exactly what we have here at Bucharest In Your Pocket: we have sorted Bucharest's good restaurants from the bad.